International Dark Sky Places designations almost always begin with a small group of individuals who organize to seek formal protection of their nightscape. By arranging for good outdoor lighting policies, rehabilitating poor-quality outdoor lighting installations, and reaching out to educate neighbors and visitors on the importance of dark skies, Dark Sky Places set a positive example for their communities and countries. 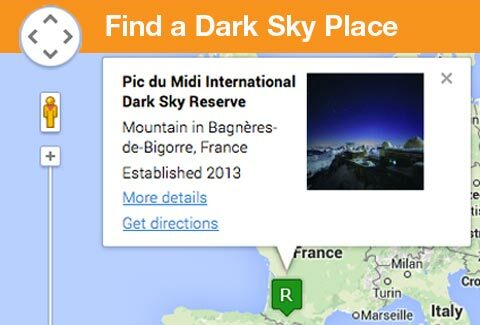 The Dark Sky Places certification process is modeled on other conservation and environmental designation programs, such as the UNESCO World Heritage Sites and Biosphere Reserves. Certifications are made on the basis of a written application (see below). Applicants work to gather all the necessary evidence in support of the designation as outlined in the set of guidelines below. Once evidence is collected for your application, it’s submitted to a standing Dark Sky Places Committee whose members are themselves previous (successful) Dark Sky Places applicants. They judge the quality of the application and make a recommendation to the IDA Board of Directors for final approval. If the Committee turns down an application, it’s sent back to the applicants with a review identifying problem areas. A prior rejection does not harm the application’s chances of reconsideration, if the applicants revise and resubmit the document. An application that receives the committee’s endorsement is forwarded to the IDA board of directors, which has 10 calendar days to vote to accept the proposal or send it back to the applicants. Once the board’s approves the applications, the Dark Sky Place is considered officially “certified.” IDA will then cooperate with the new Dark Sky Place to arrange an announcement date and issue an accompanying press release. The entire process takes, on average, 1-2 years from initial inquiry to formal designation. There is no “template” for the applications, but examples of successful applications to use as models are available on the Communities, Parks, Reserves, Sanctuaries and Urban Night Sky Places pages. The eligibility of sites for participation in the Dark Sky Places program depends on the category of the designation sought. Communities: Must have some type of legal organization that is officially recognized by outside groups. This can be in the form of a town, city, municipality or other legally organized community (such as an urban neighborhood or subdivisions). There is no night sky quality criterion associated with this category. Parks: Must be public or private land, accessible to the public in part or whole, that is legally protected for scientific, natural, educational, cultural, heritage and/or public enjoyment purposes. The core area must provide an exceptional dark sky resource, relative to the communities and cities that surround it, where the night sky brightness is routinely equal to or darker than 20 magnitudes per square arc second. Reserves: Must be a public or a private land of at least 700 km², accessible to the public in part or whole, that is legally protected for scientific, natural, educational, cultural, heritage and/or public enjoyment purposes. The core area must provide an exceptional dark sky resource, relative to the communities and cities that surround it, where the night sky brightness is routinely equal to or darker than 20 magnitudes per square arc second. Sanctuaries: Must be a public or a private land, accessible to the public in part or whole, that is legally protected for scientific, natural, educational, cultural, heritage and/or public enjoyment purposes. The site must provide an exceptional dark sky resource where the night sky brightness is routinely equal to or darker than 21.5 magnitudes per square arc second. Urban Night Sky Places: Must be a a municipal park, open space, observing site, or other similar property, accessible to the public in part or whole, located within the region enclosed by a perimeter ex- tending 50 km beyond the edge of the continuously-built area of a municipality with a permanent population of 10,000 or more people within its territorial jurisdiction, or 50,000 or more people if defined as a “metro area” of two or more adjoining municipalities. There is no night sky quality criterion associated with this category. Dark Sky Friendly Developments of Distinction: Must be a  subdivision, master planned community, unincorporated neighborhood or township whose planning actively promotes a more natural night sky, but does not otherwise qualify for the International Dark Sky Community designation. Not sure which category best matches your situation? Please fill out a General Application inquiry form and we’ll help determine the most appropriate category for your location. The Dark Sky Places Committee will review an application received by any particular deadline at the following deadline; for example, an application received by the January deadline would be reviewed by the Committee in late March, with a final decision expected around the end of the first week of April. These PDF documents are the complete set of rules and requirements for each of the four IDSP designation categories.